Somalia will not be able to assert itself and prosper until Ethiopia stops meddling in its affairs. Western nations also need to reevaluate their support of the Ethiopian regime if they ever want to see peace in the Horn of Africa. Ethiopia has long been a thorn in the side of Somalia, a troublesome neighbour, and an obstacle to regional peace. In an ideal world, the two countries would be brotherly nations but in reality the opposite is the case. The energy and resources spent by these erstwhile adversaries in undermining each other — could have made both nations prosperous. To Somalis and many outside observers, Ethiopia is the aggressor in the relationship. Ethiopia, a land-locked state, has long harboured ambitions to annex Somalia in part of its quest for a Greater Ethiopia. 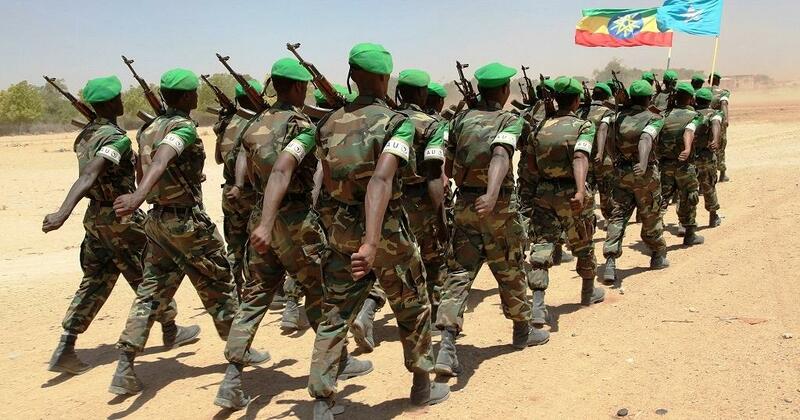 Currently, thousands of Ethiopian forces are in Somalia to contribute ostensibly to the UN "peacekeeping" mission there. But in the minds of many Somalis, Ethiopia has a hidden agenda and is using this as a cover. That flawed quest to subjugate Somalis is the driving force behind Ethiopia’s policy towards Somalia. 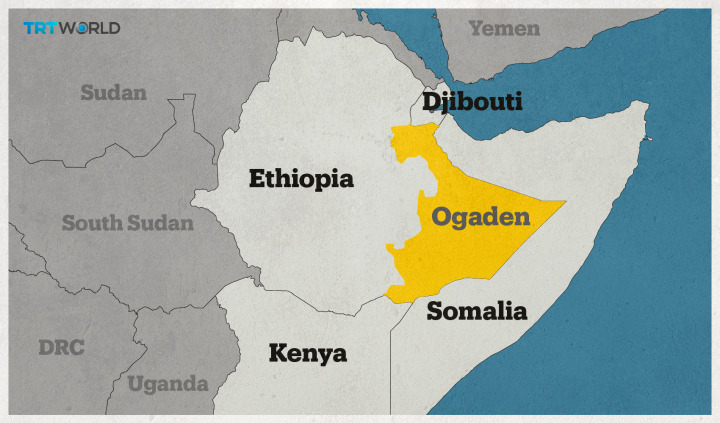 The British were against the idea and warned of long-term consequences but eventually ceded the Ogaden, a Somali-inhabited region, to Ethiopia. This territory — 95 percent ethnic Somali — is part of historic Somalia. The Somali-populated region of Ogaden in Ethiopia formed part of historic Somalia. Today there is a low-level insurgency by Somalis resisting what is considered by many to be an "Ethiopian occupation." Following their liberation, the two countries fought disastrous wars in the 1960s and 1970s. Somalia longed to regain its lost territory, and for many people there was a longing to unite with their extended families across a border they viewed as divisive and arbitrary. However, Ethiopia was not satisfied in ruling over the Ogaden region, rather there is an almost messianic desire to conquer or rule by proxy, swathes of the remainder of Somalia. With the disunity, corruption, tribalism and external interference that has enveloped Somalia, Ethiopia's former communist era President Mengistu and his successors have managed to incapacitate Somali state. There are several factors that have contributed to this. The main one is that although a third of the population is Muslim, Ethiopia is a Christian-led country. Its leaders manipulate international politics by playing the victim card "as a Christian nation threatened by Muslim neighbours." Therefore, it receives unparalleled political, military and financial support from the US and Europe. With the support of the most powerful nations in the world, Ethiopia has been given carte blanche to drive its agenda. It’s also good at distracting critics and taking calculated risks. When the country’s late leader, Males Zenawi, came under pressure following the killing of protestors in 2005, he sent his army to unilaterally invade Somalia. It was a message to remind the West that Ethiopia remains a valuable partner in the "War on Terror." That message was understood loud and clear in many foreign policy circles in London, Washington and Paris. So, rather than condemning his government’s actions, Western nations rallied around it. The leaders in Addis Ababa have convinced Western nations that it’s only Ethiopia that can deal with Somali "troublemakers." This gives them power to meddle in Somali politics even at the village level. It has created an atmosphere of fear. In most of Somalia, it is safer to publicly criticise your own leaders than to oppose Ethiopia’s policy towards Somalia. The recent case of Abdikarim Muse aka Qalbidhagah, which caused public uproar, is a good example. Abdikarim was abducted from Somalia and handed over to Ethiopia. He was reportedly a member of the Somali National Army before the collapse of the central government in 1991. He later joined the Ogaden National Liberation Front (ONLF), a movement fighting for self-determination. What has shocked ordinary citizens is that the Somali government, which is supposed to protect its people, "facilitated" Abdikarim’s rendition to Ethiopia. This was a big test for Somalia’s leaders of how far they are willing to compromise the nation's sovereignty. It is moves like these that embolden Ethiopian leaders to continue to push the boundaries of a government struggling to assert itself in the face of systemic threats. However, Somalis still have a chance to save their nation. And it may come from an unexpected and unlikely source: Ethiopia itself. The foreign policy ambitions of the Addis Ababa government have come at the expense of neglecting its own citizens. For the past two years, the two largest ethnic groups in Ethiopia, the Oromo and Amhara, have been demonstrating against the government. The initial peaceful protests have turned into an armed struggle. With the authorities struggling to contain the violence, this has had serious implications on its ability to wield power effectively. The still largely tribal nation faces tensions that until recently had been masked by the economic and political largesse bestowed by Western governments. The current regime's ability to hold onto power has been called into question. As state institutions falter and several ongoing insurgencies with dozens of ethnic groups vieing for power, Ethiopia’s unity is in jeopardy. The net result of this unfortunate outcome for the average Ethiopian citizen may well mean that Somalia could pull itself out of the mire in which it finds itself to build a stronger and more prosperous nation. Regardless of what happens in Ethiopia, Somalis have to take control of their own destiny. First, they must accept that Ethiopia would not have achieved anything without the assistance of Somalis. This is of our own making. Somalis can not expect states that have their own interests, ambitions and machinations to build a state for them. The current nation-state order demands that states work towards their own primary interests first and foremost, and yes, even at the expense of other states. That’s what Ethiopia did — outmanoeuvring Somali leaders. The solution is for Somalis to look from within their nation not as individuals but as a collective, as a society. They must not remain divided through clan lines; often loyalty to clan comes before the interests of the nation. It is about understanding that inward-looking clans cannot form a modern cohesive nation. The Somali people share several favourable characteristics that make for a strong nation in todays world: one religion, colour and language. Somalis must understand that the benefits of uniting as a nation outweigh everything else.